BBC Radio Scotland's Golf Show on Sunday 7 September will be a special edition of the programme recorded in front of a live audience at Auchterarder Golf Club in Perthshire. The course is right next to the PGA Centenary Course, which will stage the 2014 Ryder Cup later this month. Presenter Graham Spiers was joined by former European Tour professional Alan Tait and journalist Martin Dempster to debate all the issues surrounding the Ryder Cup and the effect it's having on the area. 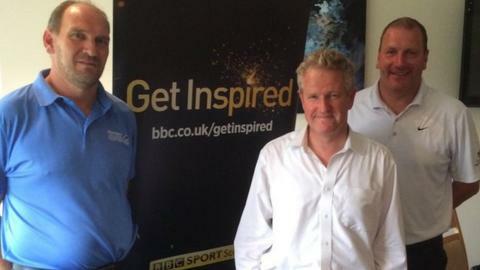 The programme will be broadcast on BBC Radio Scotland on Sunday 7 September at 10:31 BST.